Liam Payne Suits Up for Portrait Gala in London | Alexa Chung, Jourdan Dunn, Kate Moss, Liam Payne | Just Jared Jr.
Liam Payne poses for photographers as he arrives at the 2019 Portrait Gala on Tuesday night (March 12) at the National Portrait Gallery in London, England. The 25-year-old singer stepped out looking so handsome in a gray suit as he arrived at the party. 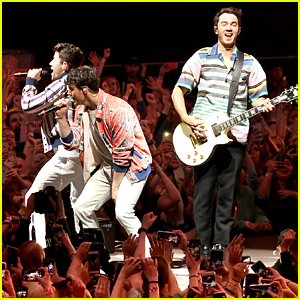 Other stars at the event included models Kate Moss and Jourdan Dunn along with Alexa Chung. Just last week, Liam joined ex-girlfriend Cheryl Cole at the 2019 Global Awards. FYI: Jourdan is wearing an Armani Prive dress. Kaia Gerber Hits the Runway at the Longchamp NYFW Show! 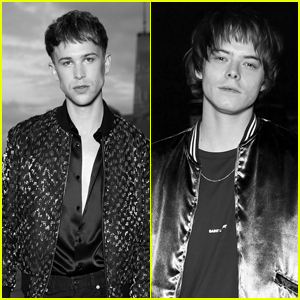 Tommy Dorfman & Charlie Heaton Look Sharp at Saint Laurent Meanswear 2019 Show in NYC! 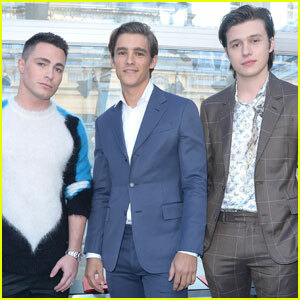 Nick Robinson, Brenton Thwaites, & Colton Haynes Make One Hot Louis Vuitton Trio!